WOW – a “Steiff” Gingerbread Man Bear ornament!! 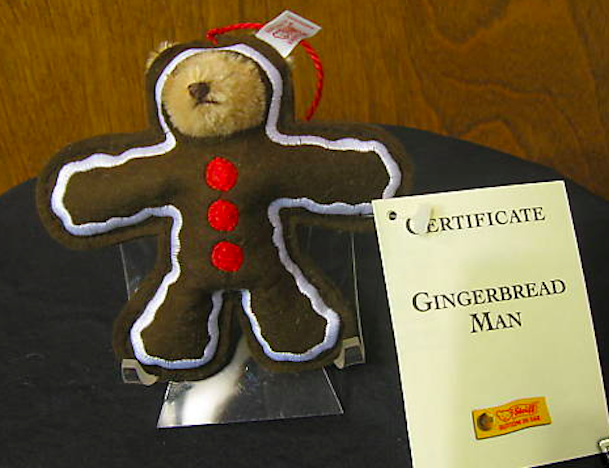 Steiff is the maker of the exclusive high-end bears that have real mohair and are prized by collectors so to discover the company also made this limited edition Gingerbread Man Bear is so amazing. This is one to keep your eyes open for as it is highly collectible. Steiff made a limited edition of only 5000 of these and each is numbered. In doing a web search there are a couple listed on eBay at the time of writing this post. Super cute! !